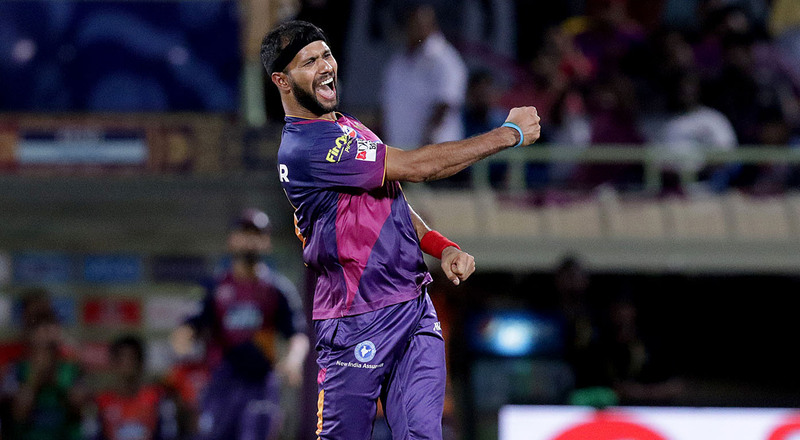 One of the latest recruits in the Indian Premier League, Rising Pune Supergiant is all set to go in for their second appearance in the tournament. Under the captaincy of Mahendra Singh Dhoni, the team finished at the seventh position last season after losing nine out of 14 matches. Ajinkya Rahane emerged as the highest run-scorer for the franchise after scoring 480 runs in 14 matches at an average of 43.63 and a strike rate of 126.64. Adam Zampa was the highest wicket-taker as he effected 12 dismissals in five matches at an average of 9.58. Injuries to key players in the initial stages of the tournament did not help their case either. For the tenth edition of the IPL, the management has taken a dauntless decision in giving the reigns of the team to Steven Smith which means that this will be the first season of the IPL where Dhoni will not lead a side. Steven Smith to lead RPS in IPL 10. In what was a grand and lavish auction for Pune Supergiant, the franchise popped up with a minimum remaining budget (out of eight franchises) of INR 30 lakhs. Nine new players were bought in the auction. A squad of 26 contains 18 Indian and eight overseas players. England's Ben Stokes (INR 14.5 crore) was worth a king's ransom for the franchise. A similar kind of all-rounder in Australia's Daniel Christian (INR 1 crore) was also bought. Lockie Ferguson and Manoj Tiwary were bought for INR 50 lakhs each. The management also acquired the services of Saurashtra's Jaydev Unadkat (INR 30 lakhs), Maharashtra's Rahul Tripathi (INR 10 lakhs), Uttar Pradesh's Saurabh Kumar (INR 10 lakhs), Rajasthan's Rahul Chahar (INR 10 lakhs) and Delhi's Milind Tandon (INR 10 lakhs). Karnataka's Mayank Agarwal, who played for Delhi Daredevils in the last season was also chipped in in the transfer window. Ranked No. 1 in the ICC ODIs and T20I rankings, Imran Tahir was included in the squad as a replacement for the injured Mitchell Marsh. An opening pair of Rahane and Agarwal can work wonders for Pune. Both the batsmen have a dissimilar style of batting which will enable them to complement each other well. In du Plessis, Smith and Stokes, they have three leading names in the modern day cricket. If these stalwarts play according to their potential, it will take a lot out of the opposition bowlers to restrict them. After being relieved from the captaincy, MS Dhoni might get a chance to bat with freedom up the order. 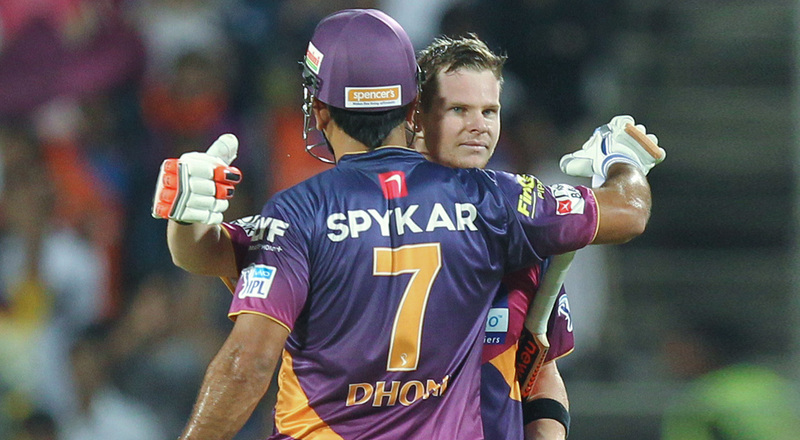 Notwithstanding the above mentioned names, he will hold the key for Pune Supergiant. Bhatia is a tried and tested face in the Indian domestic circuit as well as in the IPL, his all-round abilities would come into play for the team. In Ashwin's absence, Dinda will have to lead the attack. One thing which Pune will have to take care of is their bowling. With Ravichandran Ashwin out for the whole season due to sports hernia, Pune will be short of an experience of 100 IPL wickets. With Ashok Dinda, Adam Zampa, Ishwar Pandey and Jaydev Unadkat, the attack might not look the best in the league but can prove to be more than just handy. Perhaps, it is time for Dinda to bring his more than a decade long experience into play by leading the attack. At an average of 21.16, Usman Khawaja scored 127 runs in six matches in the last season. He has the game to improve on those numbers and would be looking for a chance as the tourney progresses. Manoj Tiwary is another interesting prospect for Pune. Among other domestic batsmen are Baba Aparajith, Ankush Bains, Rahul Tripathi and Milind Tandon. Lockie Ferguson can up the ante with his pace even on Indian pitches. It will be a rarity if Zampa and Tahir play in the same eleven but that does not mean that Tahir will be on the bench for the whole season. A bowler of his stature would certainly be included at some part of the tournament. Jaskaran Singh and Deepak Chahar are able replacements for the Indian quicks. Talking about the spin division, Pune has an Indian trio of Ankit Sharma, Saurabh Kumar and Rahul Chahar. Considering his all-round abilities, Dan Christian will also come into play at some phase. Maharashtra Cricket Association's International Stadium, Pune.